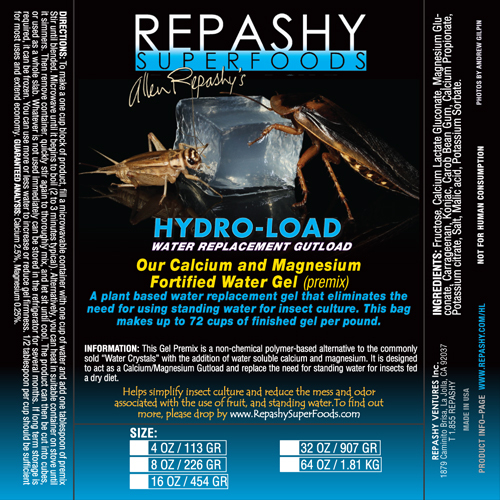 A Plant-based Water Replacement Gel that Eliminates the Need for Using Standing Water for Insect Culture. Each Ounce will make up to 5 cups of Finished Gel. DIRECTIONS: To make a one cup block of product, fill a microwavable container with one cup of water and add one tablespoon of premix Stir until blended. Microwave until it begins to boil (2 to 3 minutes typical). Alternatively, you can heat in suitable container on stove until it simmers. Then remove container, quickly stir again to thoroughly mix, and let sit until cool. The product can then be cut into cubes, or used as a whole slab. Whatever is not used immediately can be stored in the refrigerator for several months. If long term storage is required, it can be frozen. You can use more or less water to increase or reduce gel firmness. 1/2 tablespoon per cup should be sufficient for most uses and extend economy. INGREDIENTS: Fructose, Calcium Lactate Gluconate, Magnesium Lactate, Dried Seaweed Meal, Locust Bean Gum, Guar Gum, Potassium Citrate, Salt, Malic acid, Calcium Propionate and Potassium Sorbate (as preservatives). Guaranteed Analysis: Moisture max. 6%, Calcium min. 2.5%, Magnesium min. .25%. 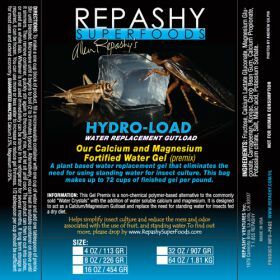 INFORMATION: This Gel Premix is a non-chemical, polymer-based alternative, to the commonly sold “Water Crystals” with the addition of water soluble calcium and magnesium. 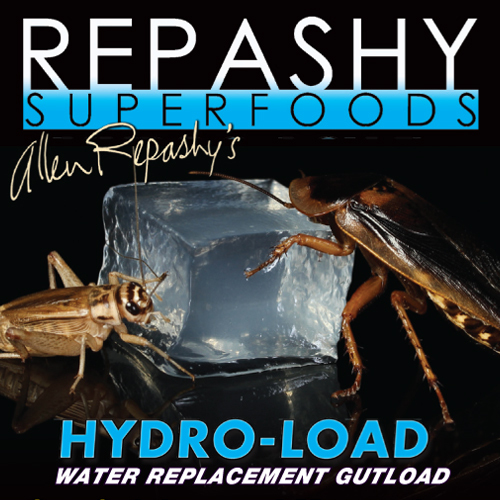 It is designed to act as a Calcium /Magnesium Gutload and replace the need for standing water when insects are fed a dry diet.